I overstayed my visa. Can my company sponsor me for a green card? QUESTION: I came to the US 15 years ago on a visitor’s visa. Can my company sponsor me for a green card? THE IMMIGRATION ANSWER MAN: As a general rule, in order to be eligible to apply for Adjustment of Status (an application for a green card in the US), an applicant must show that they have maintained valid immigration status at least until the time they file the application for adjustment of status. Therefore someone who enters on a visa, but overstays past the time listed on their I-94, is not eligible to apply for adjustment of status unless they fall within one of the few exceptions to this rule. The more common exceptions to this rule are a) adjustment for an Immediate Relative, b) adjustment under the 245(i) amnesty, and c) adjustment under 245(k). There are other exceptions to this rule, however these three are the most common. Immediate Relative Exception: An Immediate Relative (IR) is the 1) spouse of a U.S. citizen or the 2) unmarried child of a U.S. citizen who is under the age of 21. If the foreign national’s most recent entry into the US was with a visa, was admitted on the Visa Waiver Program, or was paroled into the U.S., then they are able to apply for Adjustment of Status based upon the fact that they are applying as an Immediate Relative. 245(i): Another exception is where the foreign national can show that 1) an immigrant petition or labor certification was filed on their behalf before January 14, 1998, or 2) that an immigration petition or labor certification was filed on their behalf before April 30, 2001 and they were in the U.S. on December 21, 2000. When filing under the 245(i) “amnesty” the foreign national must pay an additional $1,000 penalty filing fee. 245(k): Under the 245(k) exception, a foreign national who is filing a green card application based upon an immigrant petition filed by their employer may still be eligible to apply despite falling out of status. To be eligible under 245(k) the foreign national must not have been out of status, worked without authorization, or done anything else to violate their status for a total of more than 180 days between the time of their last entry into the U.S and the time they file the green card application. If you are not eligible to apply for adjustment of status in the U.S., you might still be eligible to apply for an immigrant visa at the U.S. Embassy or Consulate in your home country. However, you should consult with an immigration attorney before doing so to make sure that you are not barred from receiving a visa under any of the categories of inadmissibility. This is a brief overview of these complex rules. As such, I recommend that you consult with a qualified immigration attorney before filing an application for adjustment of status under one of these rules. You can call 901-507-4270 to schedule an appointment to talk to me about your case. Hi I’m Crystal and i’m 19 years old . i overstayed my visit visa so can i ask that any way for me to become a students? or maybe a illegal? First of all. Amazing job, you do! I have a few questions. Someone will sponsor me here in America and I will work for him. I have to leave the US in dec and they will probably start the Sponsorship process within 14 days or so. So, what happens if I get the approval? I am here on Esta from Europe. Will papers be send to my home country and the embassy or to me and I go to the Embassy? Or what is the process? Could I leave the US and go to Mexico and stay on vacation there until the sponsorship is approved and go back into the states? Hope to hear from you! Last question. How long time does it take to get the approval from the day the US authorities gets the papers from our lawyer? Hi, 21 years ago we overstayed our tourist visa, but we have travelled back to the US 5 different times, we even renewed our tourist visa at the Venezuelan consulate twice since then. Now our 22 years old daughter sponsored us for a IR green card, we have our interview at the consulate next month. Do you think we may have any problems ? I don’t have enough information about your particular situation to be able to answer your question with any reliability. However I can say that the beneficiary of an Immediate Relative immigrant petition is in a different situation than the beneficiary of an employment-based immigrant petition, as discussed in the post above. So it might not be a problem. But I would need to have a consultation with you and get the full facts of your situation before I could tell you that it is not going to be a problem for you. * This is an advertisement. 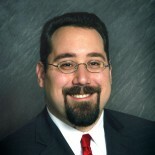 Ari Sauer is a Memphis immigration lawyer with the Siskind Susser law firm: http://www.visalaw.com/ari. On this blog we answer questions as a service to our readers, but we cannot assume any liability related to reliance on anything herein, and responses to questions are not intended to establish an attorney-client relationship. Immigration laws and regulations are constantly changing and the rules stated may not apply to your situation. Readers are cautioned to schedule a consultation with an immigration lawyer before acting on anything stated in this blog. This blog is not intended to substitute for a consultation with a qualified immigration law attorney. Ari Sauer is licensed to practice law through the states of Tennessee, New York and New Jersey but is eligible to assist clients from throughout the US. Certification as an Immigration Specialist is not currently available in Tennessee, New York or New Jersey. Siskind Susser limits its practice strictly to immigration law, a Federal practice area, and we do not claim expertise in the laws of states other than where our attorneys are licensed. I have overstayed my i20 document on my F1 visa over 180 days. What type of options do I have so I could adjust my status and stay? Could I get a sponsor? And if so what type of working visa or green card? And how do I file for a green card? And if I have to leave the country to get a new visa will the 3 year bar still be valid? The only one of those questions I can answer for you is that since you came on a student visa, your last I-94 should have been issued for “D/S” (duration of status) rather than having an expiration date. Because of that, overstaying the I-20 does not cause someone in F-1 status to start accruing unlawful presence unless there is a formal determination by USCIS or an Immigration Judge that they are out of status. If a person never accrues 180 days of unlawful presence (or 1 year) then they will not be subject to the 3-year bar (or 10-year bar) when they leave the US. A to the remaining questions, I would need to have a full consultation with you to be able to discuss your options for possibly legalizing your status. So, that means a illegal immigrant who has D/S in their I-94 can get sponsorship from an employer even if he or she over stayed their I-20 or were terminated from the college? No. They are still out of status, even if they did not accrue Unlawful Presence. Also, USCIS changed their policy in August 2018 for when those who enter on F-1 and J-1 will start accruing Unlawful Presence. can my company sponsor me to get a green card? Probably not. But I couldn’t say for sure without knowing your full history. You will need to have a consultation with me or another experienced immigration lawyer to find out what you options are, if any. If you have not started the process yet, then no, you won’t be able to file for a green card in one day. In order to benefit from the 245(k) exception, the I-485 Application for Adjustment of Status (green card application) must be filed within the 180 days. There are several different categories of employment-based immigrant petitions, but many require that the company have the Department of Labor certify a PERM Labor Certification before the employment-based immigrant petition can be filed, and many also require the employee to wait months or years for a visa to become available before an I-485 application can be filed. The ones that do not have these two issues, usually take a while to put together before they are ready to file. Also, if you have overstayed your I-94, and you do not have an approveable application for extension of status, change of status, or application for adjustment of status that was filed, then you are probably accruing unlawful presence. If you accrue 180 days of unlawful presence, then you will potentially subject yourself to a 3-year bar of inadmissibility under INA section 212(a)(9)(B). So you should seriously be considering leaving the US before your accrue more than 180 days of unalwful presence. I am a co-worker with an individual from Guatemala. He arrived on a temporary agricultural work visa and has overstayed. It has been 9 years since his visa expired. He wishes to have legal status. I am a US citizen and starting my own business. Can I sponsor him? Can he work for me? See my article above. He would not qualify for the 245(k) exception. Has anyone filed for him in the past that he might qualify under the 245(i) exception explained above? Hello,i have a question please,i came to us with my husband,with a visitor visa of 6 months,now we are overstayed since august 2014.. we had our baby born here,she is 2 years old now,and we have an employment offer,the emloyer is willing to sponsor us and do whatever it takes to adjust our status,is there any way we could adjust the status through emediate rative even if we are overstayed?? A US citizen child must be at least 21 years old before they are able to sponsor their parents. Can my company apply for my green card as emplyment sponcer ? I do not have enough information about your situation to be able to answer this question. You have not provided enough information for me to provide you with an answer. And it seems like you probably do not understand your current situation and how the immigration laws apply to your situation. It seems to me like you need to have a consultation with me or another experienced immigration attorney in order to get an understanding of your current immigration situation and to learn more about the process of how one obtains permanent residence through being petitioned/sponsored by a sibling. If i overstay my visa, can my permanent resident husband file for me, or do we have to wait until he becomes a citizen? Unless you fall within some very few exceptions, you would likely have to wait until your husband becomes a US citizen in that situation. I would suggest that you consult with me, or another experienced attorney right away before you make a decision what to do. Your question is too broad for me to answer. You can call 901-507-4270 to schedule a consultation appointment with me where we can go over your situation and I can let you know what options, if any, may be available for your to come to the US to work. Omar, If you want to go to school in the US you will need an F1 student visa. If you have already graduated from medical school and would like to do your training here, you would most likely do so on a J1 visa. Either way you would start the process by first being accepted to the school or the training program. They would then need to issue you the documentation you would need to apply for the visa. This entry was posted on March 12, 2013 by Immigration Lawyer Ari Sauer - The Immigration Answer Man in 245(i), Employment-Based Immigration, Inadmissibility, Permanent Residence and tagged 245(i), 245(k), Permanent Residence.